Elias Giacaman is a Palestinian Christian who believes in peace. He is an olive-wood craftsman from a multi-generational, familial tradition. He also manages the family business, Joseph E. Giacaman & Sons Co., with his father, Joseph, and mother, Mary. You may remember Elias’ name from my posting on 25 Dec. 2010. 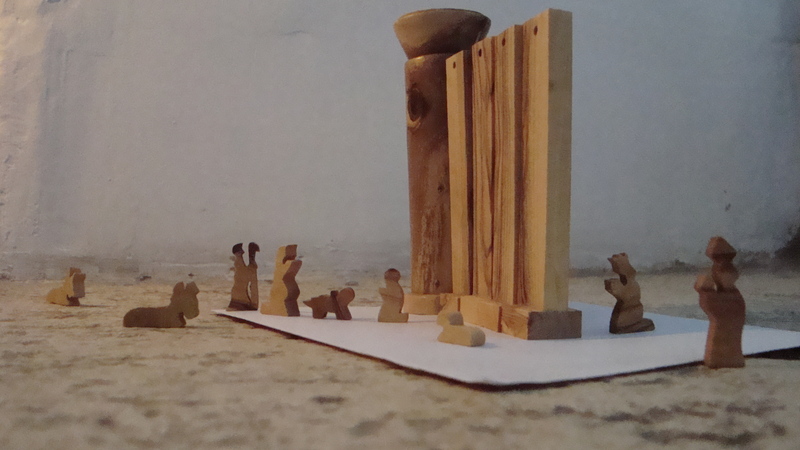 He crafted the Nativity set that demonstrates the scale of the Separation Wall in Bethlehem. He and his family know the story of the Wall very well. The family business was established in 1928 by Elias’ grandfather, a time when Christians made up about 9% of the population of what was then British-Mandate Palestine, roughly what is now Israel-Palestine. The shop was located in a building in the centre of Manger Square. By the 1970s, that building had been taken down. 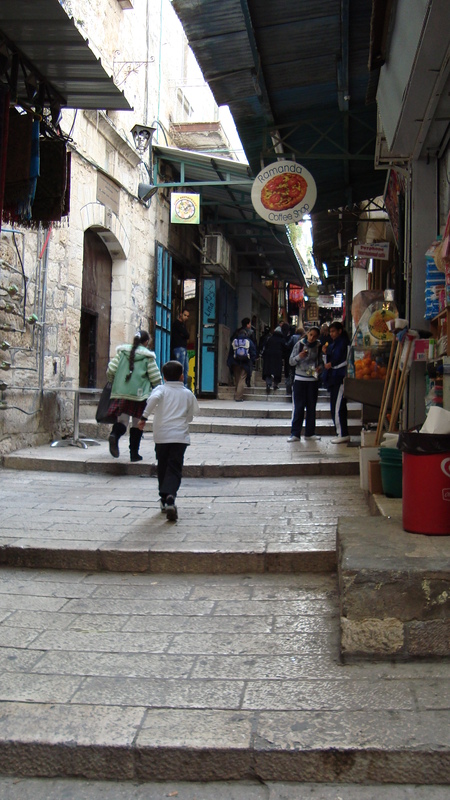 The shop is now located in a newer building on the right-hand side of Manger Square when facing the Church of the Nativity. 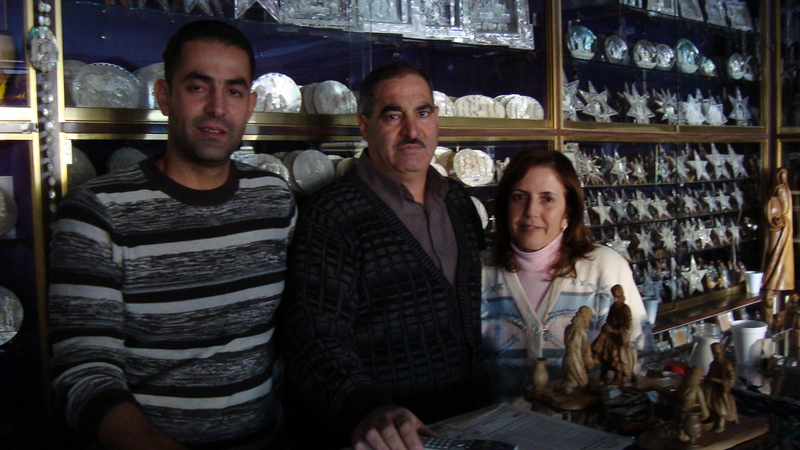 The Giacaman family is part of a diminishing Christian community in Israel-Palestine. People are emigrating primarily due to a lack of freedom and security, a poor economic situation, and political instability (see report). In 2007, Palestinian Christians in the West Bank, the Gaza Strip, and Jerusalem made up only 1.37% of the population; the figure in 2010 was estimated at 1.25%. One of the many impacts of the Israeli Occupation is restricted movement for Palestinian Christians and Muslims. The Government of Israel began building the Separation Barrier or Wall in 2002. When completed, the Barrier will be 707 km long. 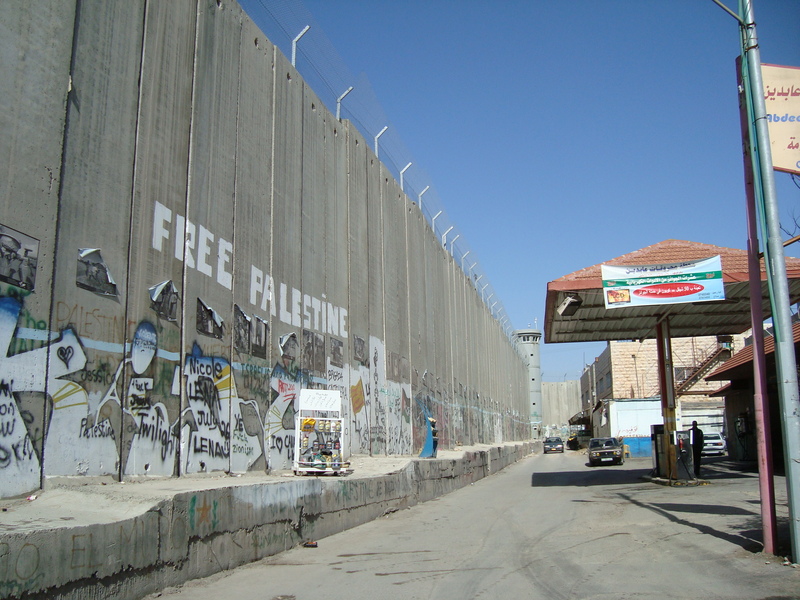 For most of its length, the Barrier is fortified fencing; however, in populated areas such as that between East Jerusalem and Bethlehem, the Barrier is concrete wall. For a sense of scale, the Berlin Wall was 11.8 feet (3.6 metres) high. 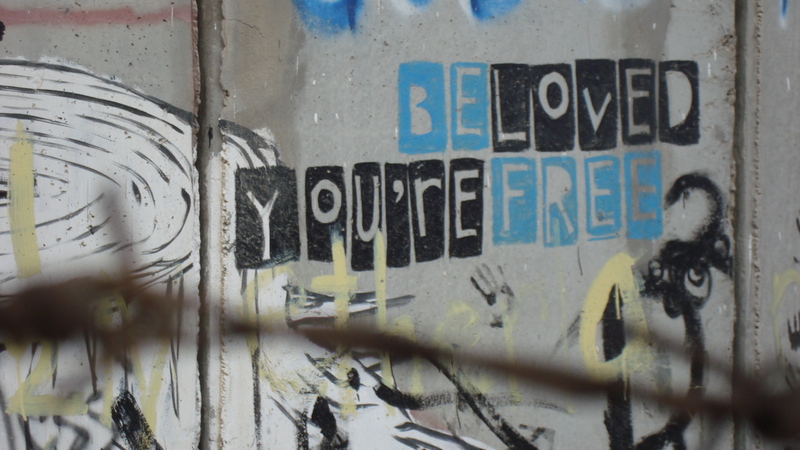 The Separation Wall stretches as high as 25 feet (8 metres). Fifteen percent of the Barrier is being built on the Green Line and 85% on land inside the occupied Palestinian territory. (The Green Line is the 1949 Armistice line following the declaration of the state of Israel; the Green Line marks the line between Israel and the West Bank. See this map and how the black line, representing the Separation Barrier, weaves in and out from the green, dotted line.) While the Government of Israel has a right to protect its citizens, the International Court of Justice (ICJ) (the principal judicial body of the United Nations) advised in 2004 that the sections of the Wall that run inside the West Bank are illegal. Through the building of the Separation Wall, Elias’ family lost over 200 olive trees that his grandfather had cultivated in two areas. They lost 10 dunam [about 2.5 acres; 1 hectare] when Israel built the checkpoint between Bethlehem and Jerusalem. They lost over 25 dunam to the Israeli settlement of Har Homa (see map). Elias recalls that the land was taken during the Israeli-state imposed curfews (between 2000-2002) during the Second Intifada. 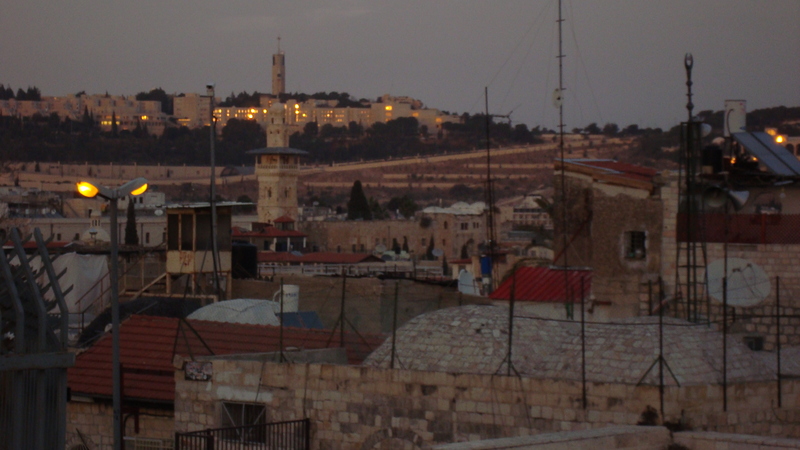 For 273 days in 2002, Bethlehem residents were not allowed to leave their homes. Every four or five days, people were given three to four hours to shop, tend to their businesses, etc. 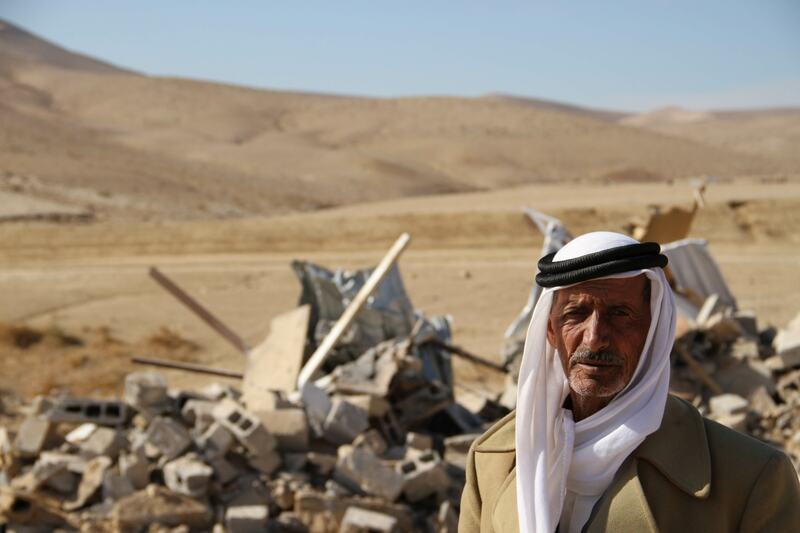 Elias’ family did not see that the Separation Barrier was being built and their land taken. Last December, I was introduced to the Giacaman family by Ann Farr, an Ecumenical Accompanier placed in Yanoun in the West Bank. During that conversation, Joseph told us that finally, Elias had been granted a six-month work permit to visit Jerusalem and Israel for business purposes – after seven years of rejected applications. A few weeks ago, I returned to Bethlehem and had a chance to ask Elias about this seven-year effort, about Jerusalem, and about what this renewed access to Jerusalem means to him. 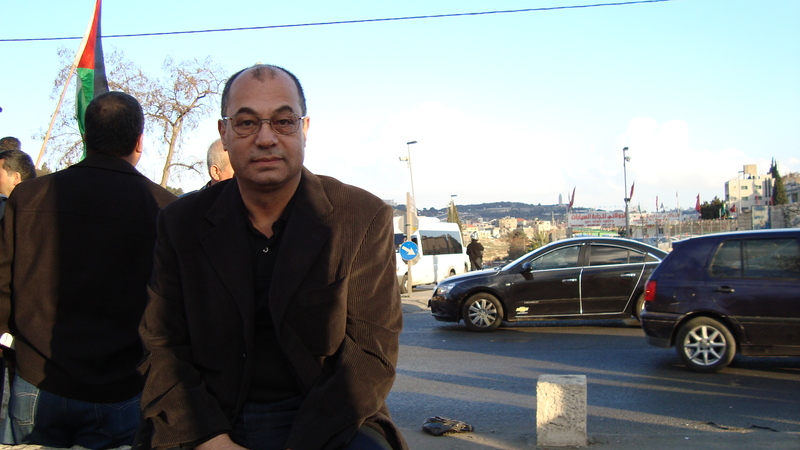 He quickly set the discussion in the larger context of Palestine and Israel in 2010-2011. Elias described that, prior to 2000 and the Second Intifada, people used to receive permission relatively easily to visit Jerusalem for religious feasts (e.g., Christmas) for a few days (e.g., 15 days). Now, however, only a proportion of people who apply receive permission (e.g., of 2000 people, only 500 would receive permits). If a family were to apply for this type of permit, possibly only one or two members would receive a permit. Elias’ permit, which he received in December 2010, is valid for six months. It is a business permit and allows him to go and come, from Bethlehem to Jerusalem and Israel. 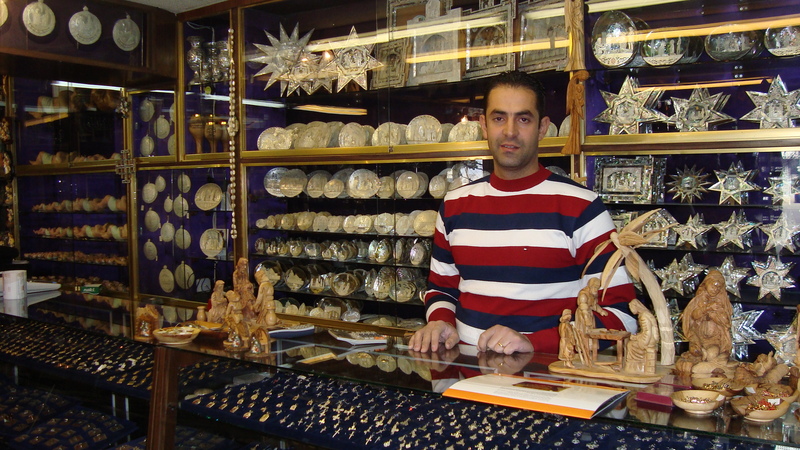 He anticipates that he’ll be doing this weekly for his family’s business, to meet with clients and to purchase goods that he can only get in Jerusalem or Tel Aviv. Now that he has received this initial permit, the likelihood that he’ll receive six-month permits in the future is good. A few years ago, the likelihood of receiving subsequent permits would have been low. He referred to the Nakba (see this and this info), the Naksa, and the disappointment used to describe a missed opportunity for peace that arose in 2002. It is known as the Arab Peace Initiative (API) and was proposed in Feb. 2002, adopted by the Arab League in March 2002, incorporated into the ‘Road Map for peace’ in Dec. 2002, and then officially issued in 2003. The API was re-endorsed by the Arab League in 2007. As of 2009, the initiative was to be incorporated into President Barack Obama’s approach to the peace process. Given this week’s events in Tunisia and Egypt, the API may be very relevant still. For example, see this article published online on 28 Jan. 2011. I’ve just come from the initial prayer service for the World Week of Prayer for Christian Unity. As an Ecumenical Accompanier, I was invited to attend to represent EAPPI and the World Council of Churches. The service was held in one part of the Church of the Holy Sepulchre: Anastasis Chapel, Calvary, Greek Orthodox Office of “Apodeipnon” (Compline). -Evening tea with Ronny, a member of Machsom Watch, a group of peace activist, Israeli women who monitor the Israeli checkpoints. 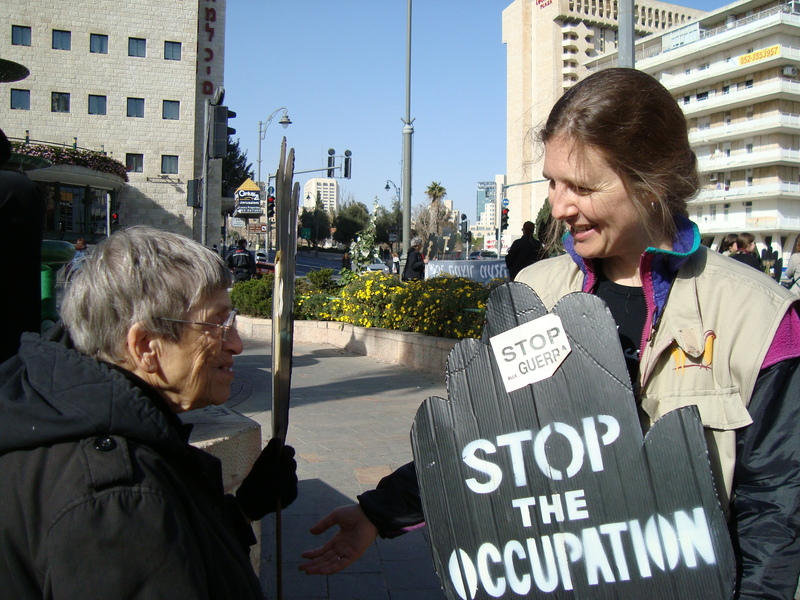 She is in the Israeli peace movement in part because she doesn’t like what the Occupation is doing to Israeli society. She said that she is “trying hard not to hate her society”…that was sobering…She is concerned that the Left has become marginalized. She offered some suggestions for us as we develop an EAPPI Fact Sheet on the Israeli peace movement. ‎”When our days become dreary with low-hovering clouds of despair, and when our nights become darker than a thousand midnights, let us remember that there is a creative force in this universe, a power that is able to make a way out of no way and transform dark yesterdays into bright tomorrows. Let us realize the arc of the moral universe is long but it bends toward justice.” – Martin Luther King Jr.
For 23 years, the Women in Black have stood in Jerusalem on Fridays from 1-2 pm in Paris Square. Just a 15-minute walk from the Old City, five minutes from downtown, and a hundred yards from the Prime Minister’s residence, the square is anchored by a large, decorative water fountain. Israelis in non-violent protest first gathered around the square in early 1988 in response to the First Intifada – more specifically in response to the shooting and killing of Palestinians (teenagers) who had thrown rocks at Israeli soldiers. Renate Wolfson had joined a group of women and men on the south side of Paris Square; the group called itself, “Israelis By Choice” based on a shared experience of immigration earlier in their lives. As that group started to dissolve, she chose to join the Women in Black in the central part of the square where they continued to stand vigil. The Women came together in January 1988, in vigil for the deaths of the Palestinian youth. They dressed and continue to dress in black as a sign of mourning. At that time, they were typically 150 women, standing shoulder-to-shoulder around the square every Friday afternoon (from 1-2 pm). Ten to twelve Women-in-Black groups existed at one point in Israel/Palestine. The Jerusalem Women are not an organized group as such. They only meet to make decisions (e.g., regarding slogans they would use on their signs) and use a consensus-based approach to do so. 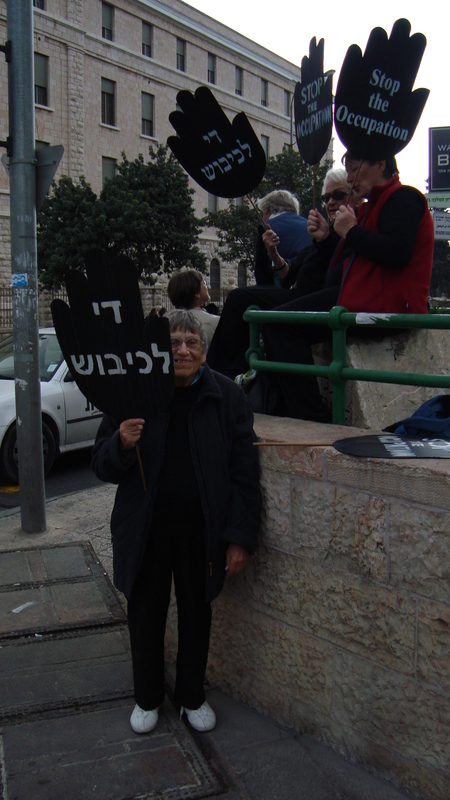 At each vigil, the Women held, and continue to hold, signs in the shape of a black hand indicating, “stop”, with the words, “End the Occupation”, in Hebrew, Arabic, and English. During the attack on Gaza (Dec. 2008-Jan. 2009), they created a banner with the words, “Stop the siege of Gaza”. 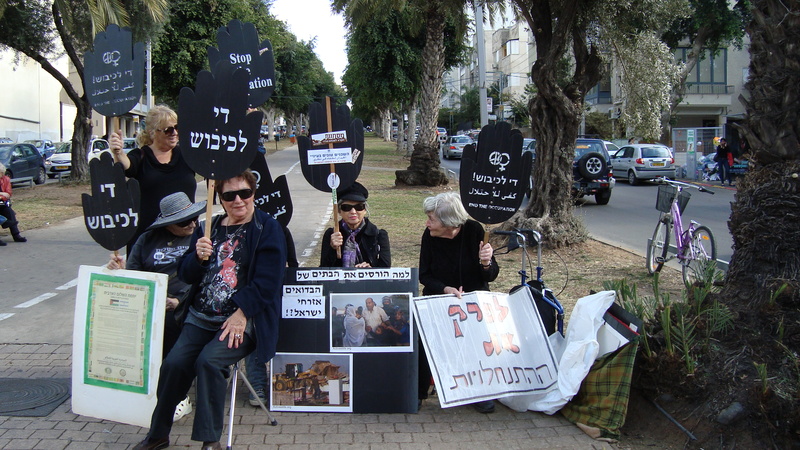 During the first Gulf War (1990-1991), when Israelis started experiencing rocket attacks from Iraq (with hits on Tel Aviv and a few deaths), the Women in Black met to decide if they should continue to stand vigil on Friday afternoons. With many Palestinians siding with Iraq during the war, the women debated the future of their own vigil. They never reached a consensus. Finally, some women started standing again in Paris Square. At that point, though, the number of the members of the group began to diminish. After the Oslo Accords, about 1995, the Jerusalem Women in Black stopped standing for six months. As Renate has recalled, “We thought that things were going to get better – that Israel would pull out of the territories and there would be peace. That turned out not to be true and so we came back”. Since 1995, they have been gathering every Friday afternoon. They haven’t had a meeting since 1995. As the number of members has continued to drop, making decisions has become informal; the Women simply walk around the Square during their Friday vigils and ask each other about decisions they wish to make (e.g., Gaza banner). The family lived with the threat that he might be arrested at any time. When he went abroad again, life became a little less anxious for them. However, life for Jews became ever more oppressive and threatening. Upon finding work in the US, he called for Renate, younger brother, and her mother to join him. The family left in August 1938, just ahead of the November 1938 Kristallnacht (i.e., Night of Broken Glass), a turning point in the persecution of Jews in Germany prior to the Second World War. 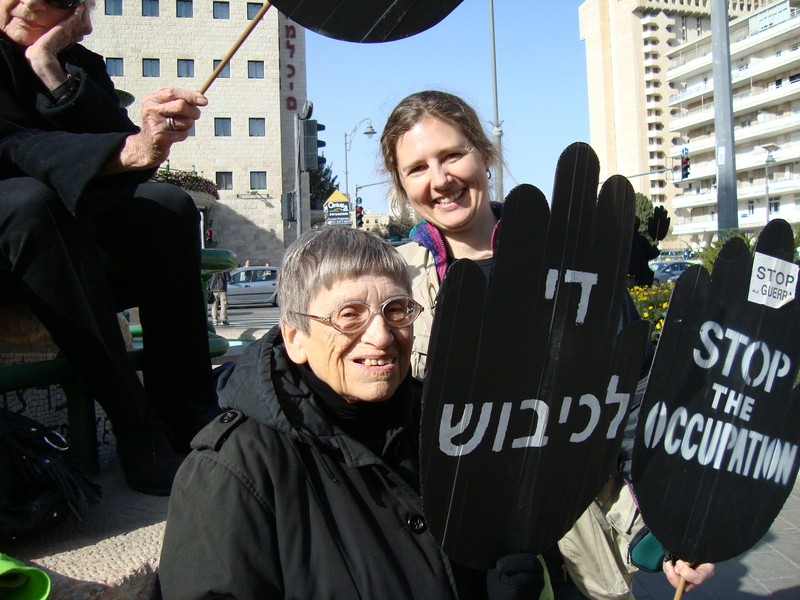 In the last month in which I have had the honour to stand vigil with the Jerusalem Women in Black (and also on Friday with the Tel Aviv Women in Black), I have noticed that about 8 to 10 women appear each week. “My past as a Jew in Nazi Germany, as well as my present work on the history of antisemitism, make me especially sensitive to the oppression of others and to the need for citizens to act against unjust regimes before it’s too late. What does Renate hope for the future, in particular for Jerusalem, the city with which she fell in love in 1958? For more information about the Women in Black’s early years, click here. For information about Women in Black International, click here. 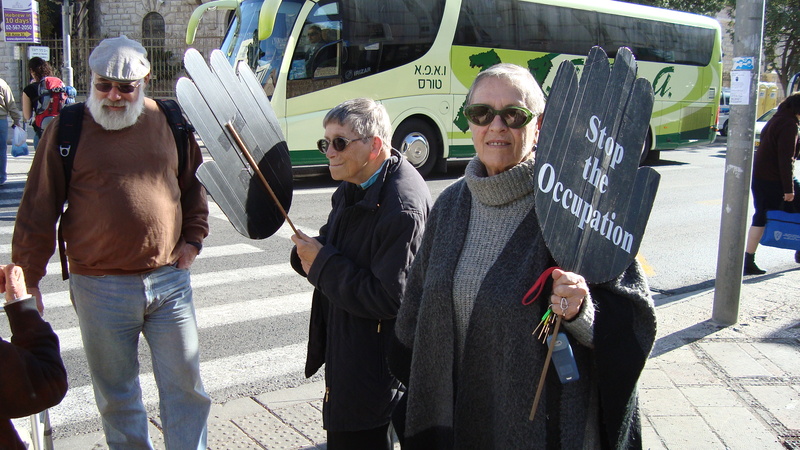 The following report and photos were prepared by members of the Ecumenical Accompaniment Team in Hebron, 12 Jan. 2011. “On the morning of January 12, children of Dkaika were in school and the families were going through their morning routines. Suddenly, the army appeared and the demolitions began,” reported international accompaniers from EAPPI. Seven households (residential structures) destroyed; 1 animal shelter; and 1 class room. 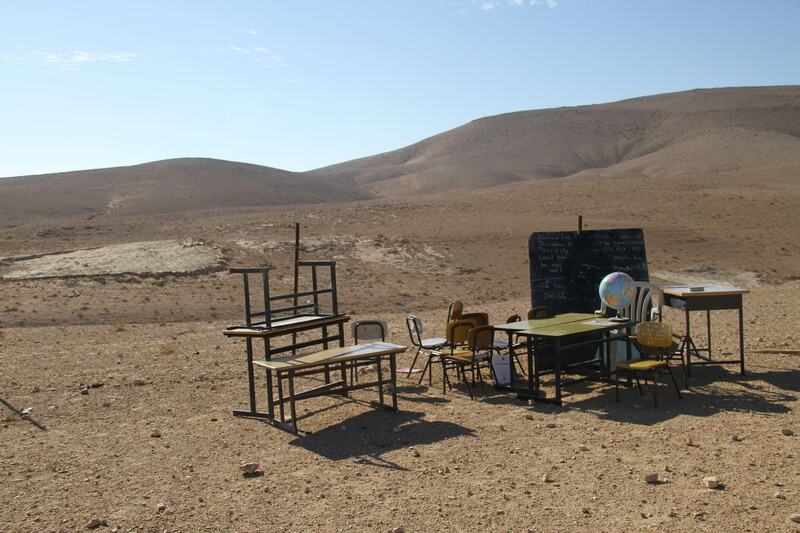 In total 46 people were displaced plus an additional 10 students (not displaced, but have lost their classroom). The accompaniers’ journey yesterday to Dkaika was delayed by military checkpoints. When they arrived, 17 structures in the village had already been destroyed. They reported that there were four bulldozers present, along with Israeli military civil administration officials and guarded by up to one hundred soldiers. One of the village women, Hamdah Najadah, told accompaniers: “Two policewoman stopped me when I wanted to go in to the house and take out the furniture and our things before they demolished it. They would not let me,” she told them. There are around 39 families in Dkaika village. Nasser Najadah (see photo) is 73 years old and was born in the village. His family lost 7 buildings, including the one where they sleep. Three villagers, among them two teachers, were arrested. The homes that were demolished yesterday were homes that were not covered by the restraining orders. The 4th Geneva Convention states that “any destruction by the Occupying Power of real or personal property… is prohibited, except where such destruction is rendered absolutely necessary by military operations.” (Article 53). No notification was given to the villagers as to when the demolitions would happen. Many other houses in the village have demolition orders from the Israeli courts, says the Israeli human rights group Rabbis for Human Rights. The group has been attempting to get a master plan for Dkaika approved by the Israeli courts. Some houses are temporarily protected from demolition pending a court decision on the plan. “When the hearing on the zoning plan happens, the decision will not be made simply on planning criteria, but political criteria will be involved so it’s hard to be optimistic,” Rabbi Arik Ascherman, General Secretary of Rabbis for Human Rights. Sherry Ann’s additional note: See this article about a separate demolition in the West Bank on 11 Jan. 2011. 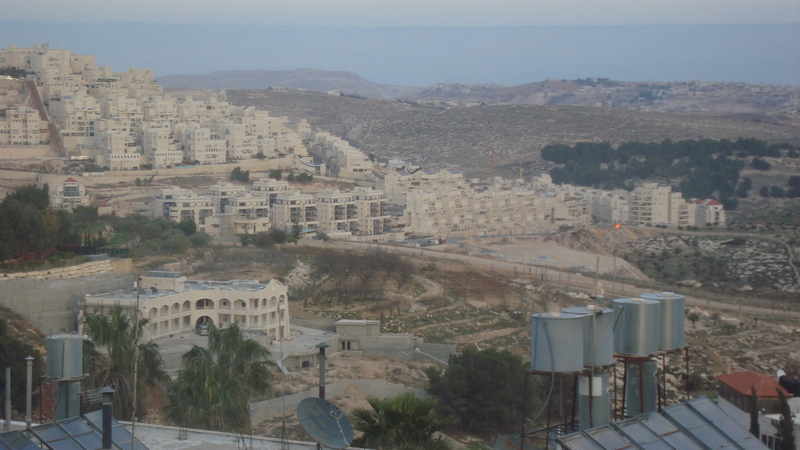 The Ecumenical Accompaniment Programme in Palestine and Israel (EAPPI) brings internationals to the West Bank to experience life under occupation. Ecumenical Accompaniers (EAs) provide protective presence to vulnerable communities, monitor and report human rights abuses and support Palestinians and Israelis working together for peace. When they return home, EAs campaign for a just and peaceful resolution to the Israeli/Palestinian conflict through an end to the occupation, respect for international law and implementation of UN resolutions. Bassem Sabbagh and I met on 7 January 2011at a demonstration in Sheikh Jarrah, a neighbourhood in occupied East Jerusalem. He lives with his family in Sheikh Jarrah. The name, Sheikh Jarrah, comes from the name of the doctor that accompanied Salah al-Din in the twelfth-century capture of Jerusalem. This neighbourhood is on the occupied, east side of the Green Line, the 1949 Armistice line following the declaration of the state of Israel and the Arab-Israeli War. This is known as the War of Independence ( העצמאות‎, Milhemet HaAtzma’ut) in Israel and as the Nakba or Catastrophe ( النكبة, al-Nakba) by Palestinians. Bassem grew up in his Sheikh Jarrah home. He has four brothers, Mohammad, Osama, Bassam, and Ghaleb. In 1980, Bassem moved to Bahrain for work, having completed his education in 1979. He had both a Jordanian passport and a Jerusalem ID card. However, in 1996, the Israeli government canceled his Jerusalem ID claiming that he had spent more than seven years living abroad, despite Bassem’s time spent every year with his family in Sheikh Jarrah. At that point, Bassem was forced to decide between leaving Jerusalem forever or returning to live full time in Jerusalem. He chose to stay in Jerusalem. Bassem asked his wife to fly to Bahrain in order to resign on his behalf; she, too, resigned from her position. They had to sell their assets in Bahrain thus losing their savings; they settled in Jerusalem to start their lives again. For four years, Bassem did not have any identity papers. He worked in Ramallah (north of East Jerusalem) and could never be sure if he would be arrested for crossing between East Jerusalem and the West Bank. At times, he wished that he would be caught and then sent abroad rather than live in this uncertain way. In 2000, after much effort in navigating the Israeli court systems, Bassem and all of his family members were given their Jerusalem ID papers. Yet, not long after this ID-card issue was settled, another issue arose for Bassem’s family. The ongoing process of dispossessing and evicting 17 of the original 28 Sheikh Jarrah families began to affect the Sabbagh family. (For an overview of the shattering process leading to evictions of 60 Palestinians including 24 children, see UNOCHA’s Oct. 2010 fact sheet). The five parts of the extended Sabbagh family (as led by the five brothers, Mohammad, Osama, Bassem, Bassam, and Ghaleb) continued to live in Sheikh Jarrah. In 2009, they “received court papers indicating the intention of Nahalat Shimon International [a well-funded, Israeli settler organization] to assert their claim over the land” (see report , p. 17; also see pp. 25-26; p. 12, p. 39) Mohammad, Bassem’s brother, has stated, “This case is very important for the neighbourhood. Because it is new it will allow us to introduce new documents which refute the ownership claims of Nahalat Shimon International” (p. 26). In the cases with the 17 other families, the Sephardic Community Committee and the Knesset Israel Committee have sought to discredit the families’ ownership of the properties. What is critical in the Sabbagh case is that the Committees, in backing Nahalat Shimon International, have been asked to demonstrate their prior ownership (from 1886 – see report, p. 11) of the land. To date, the Committees have been unable to demonstrate this ownership claim for the court. Bassem has visited the Sabbagh family home in Jaffa. He and his brother, Mohammad, have spoken with the people that have lived there since buying the property from the Israeli government, after 1948. “Democracy in Israel is false. Israelis have the right to get their property back [e.g., property owned prior to 1948]…, while we…are not allowed to do so. Once I spoke to an Israeli about this issue, his answer was “What was in the past is passed” but this is not applicable to them. Bassem considers himself a realist and an optimist. I asked, if he were to dream, what would be ideal? I asked what would be ideal for Jerusalem. I asked Bassem about his statement, “No one will accept others’ control of Jerusalem; it’s a place of conflict”. What would he envision? Shared control?